From the very start, there was also no way but up for the G-model with regard to its status as an automotive icon. For decades, the G continuously evolved from a useful off-road vehicle with high ride quality on the road. The constant development work of Mercedes-Benz ensured that the vehicle always remained fresh and up to date. The history of the G-model began in the summer of 1969. At the time, Daimler-Benz AG and Austrian Steyr-Daimler-Puch AG entered into talks about a possible cooperation. Both manufacturers offered vehicles with excellent off-road capabilities as part of their product ranges. In 1971, the idea of jointly building an off-road vehicle was fleshed out for the first time. It was to combine extreme off-road capabilities with good handling on the road. The G-model has been built at the Puch plant in Graz-Thondorf from the outset. This plant is also where the new 463 model series G-Class has been assembled since May 2018. Mercedes-Benz has been supplying components including engines, axles, steering systems and large stamped parts from various sites in Germany to Graz since 1979. Series production started in February 1979 shortly after the vehicle’s world première, and Geländefahrzeug Gesellschaft (GfG), founded by the two companies in 1977, was in charge of this process. The G was initially launched on the market as the 460 model series: a universal off-road vehicle with a comparatively plain interior but a great deal of attention paid to the drivetrain. The selectable standard-fit all-wheel drive with its one hundred per cent interaxle differential lock and optional differential locks on the front and rear axles, which have been standard equipment since 1985, ensure optimum off-road handling characteristics. A continuous advancement process for the G-model began shortly after its market launch, which would prove to be the key to its lasting success. Important steps included the standard-fit power steering and standard-fit differential locks (1985) as well as the introduction of a closed-loop, three-way catalytic converter and the anti-lock braking system (ABS) in model series 463 from 1990. 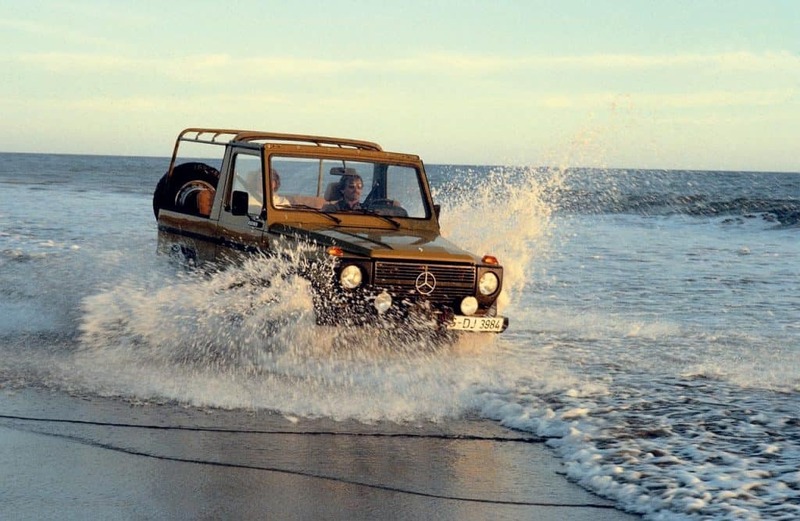 From 1998, the G 500 then became the standard top-of-the-range model of the Mercedes-Benz G-Class, as the family of off-road vehicles has been known since 1993. The nomenclature of the G thus follows the system established for the other Mercedes-Benz passenger car model series, whereby a letter preceding the three-digit number or a combination of letters designates the class to which the vehicle belongs. A particularly successful chapter in the history of the G began in 1999: in that year the G 55 AMG became the new top-of-the-range model of model series 463. It formed the basis for the lasting success of the G-Class high-performance vehicles by Mercedes-AMG. Further standards in this regard were set by the G 55 AMG Compressor (2004), the G 63 AMG, the G 65 AMG (both 2012), the G 63 AMG 6×6 (2013) and finally the Mercedes-AMG G 63 of the new G-Class presented in February 2018. It transports the strengths of this charismatic performer into a bright future. The enhanced design of the G-Class follows the philosophy of Sensual Purity and at the same time remains true to the character of the original. As a result, the door hinges positioned on the outside and the surface-mounted bonnet are carried over to the new generation. 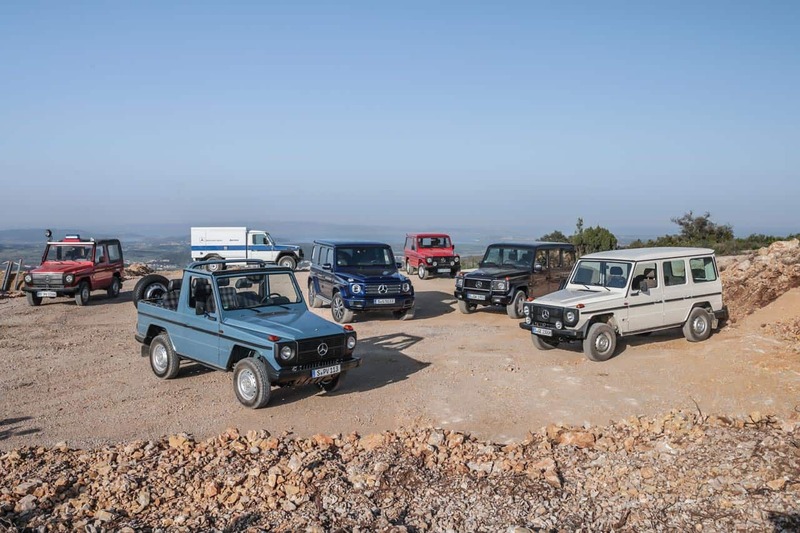 With the latest update, the off-road icon – which has been continually enhanced technically over the decades but visually has hardly changed – is making the leap into a new era – both in terms of technology and form. The new G-Class is 53 mm longer and 121 mm wider and now has even greater presence, on the road as well as in terrain. More than ever, the new G-Class appears to be cast from a single piece. All surfaces have a more taut design and are have more tension, while the surface quality has been taken to an even higher level. This results in narrower, more precise gaps and more harmonious transitions. In addition, the wheel arches and bumpers form a more integral part of the body and thus look less like add-on features.